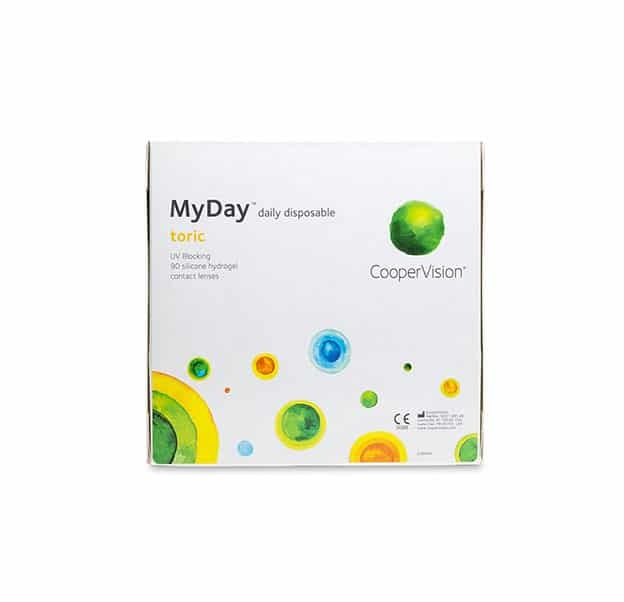 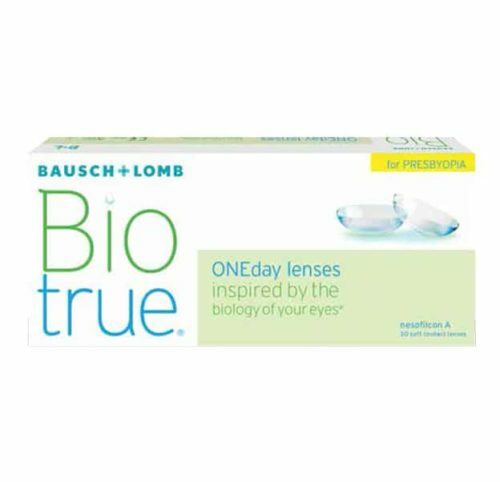 The CooperVision MyDay Toric daily disposable contact lenses for astigmatism use proven optic lens design, Optimized Toric Lens Geometry, to offer clear, comfortable vision all day long. 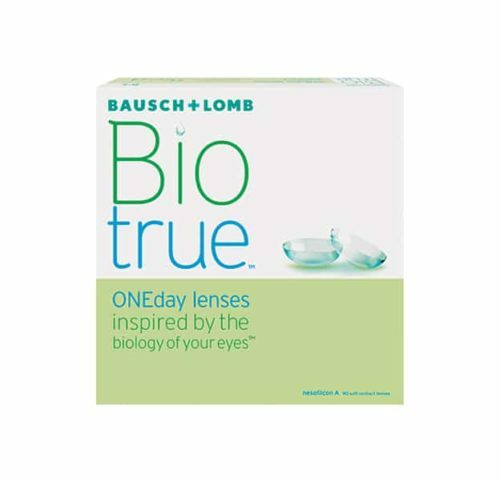 The cutting edge Aquaform technology and Smart Silicone hydrogel material integrated into the lenses is highly breathable; allowing more oxygen to reach the eye and maintaining your eye health throughout the day. 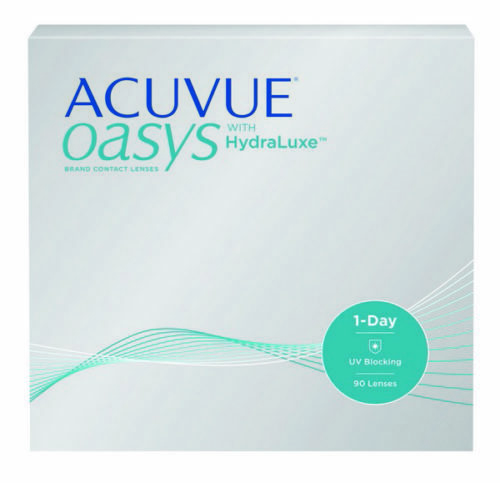 The MyDay toric lenses also have built-in UV protection that filters 85% of UVA and 96% of UVB rays, further protecting your eyes. 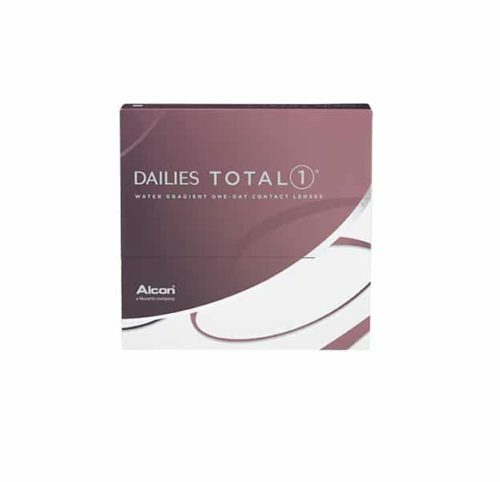 If you have astigmatism and prefer the convenience of daily disposable lenses, your eyes will love the comfort and clear vision of the MyDay Toric lenses.